Five easy steps to get your program up and running by fall 2016 or sooner! Unlike the parent-coach model that’s appropriate for our traditional soccer programs, your Playground soccer Program Leader is most likely NOT a parent of a player you’re about to register. 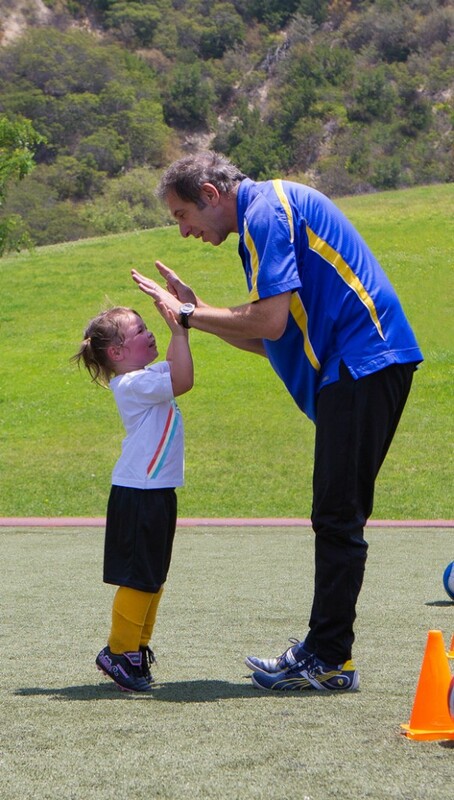 For Playground Soccer, you’ll want a Program Leader familiar with the AYSO National Coaching Program, who understands the needs and capabilities of 3 year olds and is sensitive to the needs of the parents. Click here for a description of the ideal candidate. You probably have one or more good candidates in your Region right now! For Playtime Adventure, you’ll be hiring AYSO trained and certified AYSO Camps coaches. Click here to locate an AYSO Camps coach near you. Field space is a concern for many Regions, but you don’t need a lot for AYSO Playground Soccer! In fact, you really don’t need a soccer field at all. The playing area is based on small “activity grids.” Just a part of a playing field is all you’ll need. Many Regions successfully run their programs in a gym or on a court, tennis or basketball courts will both suffice. The sessions should be no more than 60 minutes at a time (including rests and breaks). AYSO Playground Soccer uses a mix of traditional soccer gear that you may already have on hand, plus some other props such as hula hoops that are specific to this age group. AYSO has set up a few different Playground Soccer bundles to help get you started. One has soccer equipment included and the other has all of the necessities without the soccer gear. Pricing for both bundles are available here through the AYSO Supply Center. And while we’re not playing traditional soccer at this age, children will love getting their first team shirt. A specialized Playground Soccer T-shirt is available for purchase through SCORE Sports. Contact a SCORE representative at 800-626-7774 to place an order. Remember that you won’t find players this young by promoting through elementary schools. Think local day care centers, preschools and local moms groups. You may want to hold separate registration events for this new program, as new parents of young children will often have many questions. And don’t forget, young parents these days spend a good deal of time on social media – reach them that way! Look for parents group and community pages on social media. Typically the pages names include “moms” and the city or location name. Marketing materials and tools are being created right now, click here to download a registration flyer, Facebook post and logo package. Need something special? Give the AYSO Marketing staff three weeks and they can customize something to help you promote your program. Ready to start registering players now? As of April 1, you’ll be able to sign up 3 year olds right in eAYSO! Key to your success will be setting the parent’s expectations from the get go. Once you start registering players for Playground Soccer, you’ll automatically be sent an outline for the Parents meeting.